Pregnancy is an exciting time in every woman’s life. However, it is a complicated life process to give birth to a baby but gives utmost pleasure to every woman after delivery. Many changes occur in woman’s body during pregnancy. Out of those changes, one common symptom of pregnancy is frequent urination. It is also considered as an early sign of pregnancy. You have to pee frequently and your visits to the washroom are increased as the pregnancy advances. Generally, it starts at early pregnancy time (as early as six weeks) & continues throughout the third trimester. However, during the second trimester as the uterus grows in size and also rises higher, some pregnant women may get relief from this problem. The main disadvantage of this symptom is that it gives sleepless nights to many pregnant women as the tendency to urinate is increased. After conception, pregnancy hormone hCG (human chorionic gonadotropin) is produced in the body which increases the flow of blood to the kidneys as well as pelvic area. This leads to excessive production of urine in the body. 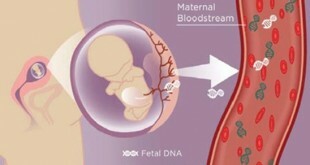 At the beginning period of conception, the volume of blood in women also increases. So, the increased blood flow and fluid in kidneys lead to pressure on their bladder. The combination of these two factors creates an enough pressure on the bladder of the pregnant woman. Therefore, they feel the pressure of pee more frequently. During the later time of pregnancy period, the growth of baby is increased. The mothers’ uterus also starts growing bigger & heavier. This creates pressure on the bladder. As a result, bladder is unable to hold more urine for a longer period. Hence, the necessity of voiding out urine is increased. The frequent visit to the toilet becomes an irritating event in the daily routine of a pregnant woman. After full growth of head as well as body of the baby, the pressure on the bladder increases a lot. This gives sleepless nights to many pregnant women. Some women may also suffer from frequent urination after delivery. This problem may persist for a few days. Reason behind it is excessive amount of fluid accumulated in the body during pregnancy, which is expelled out later on. Firstly, avoid taking those drinks that have diuretic effect on the body such as tea, coffee etc. Avoid drinks that have caffeine in them as it increases urine output. Maximum fluid intake should be done in the morning. Try to have less fluid intake at night or early evenings. Moreover, try to avoid fluid intake at least 1-2 hours before going to bed. Make sure that your bladder is fully emptied when you urinate. While urinating lean forward a little so that bladder is fully evacuated. To check if the bladder is totally empty or not, make a little laugh or cough. If a little amount of urine comes out then this is justified that urine is present in the bladder. However, if the bladder is empty no urine will be voided out. Kegel exercise can also be done to tackle this problem. However, some pregnant women may think that having less fluid intake may help them from frequent visits to the toilet. 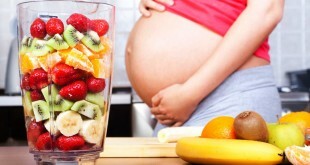 But this may lead to dehydration as fluid requirements of the body are increased during pregnancy. Moreover, one can also get urinary tract infections due to less fluid in the body. To keep urinary infections at bay, water intake is necessary. Kegal exercise is done to strengthen the pubococcygeus muscles. This is very helpful in controlling pressure of the bladder. Firstly, to find out the pelvic floor muscles, hold urine in midstream. If you can hold your midstream then you can easily get the muscle you have to control. Once muscle is identified lie on back after emptying the bladder. Tighten the pelvic muscle and contract for 5 seconds. Then relax for 5 seconds. Try to repeat these steps 10 to 20 times. Make sure to focus on pelvic floor muscles only. Avoid flexing abdominal, buttock or thigh muscles. Holding breath should also be avoided. With doing this exercise at least 10 times thrice a day, the pregnant women can control their frequent urination problem. If burning sensation is accompanied with urine. While urinating, if only few drops of urine are voided out.